Jian Wang is an associate professor of economics at the School of Management and Economics of the Chinese University of Hong Kong (Shenzhen). 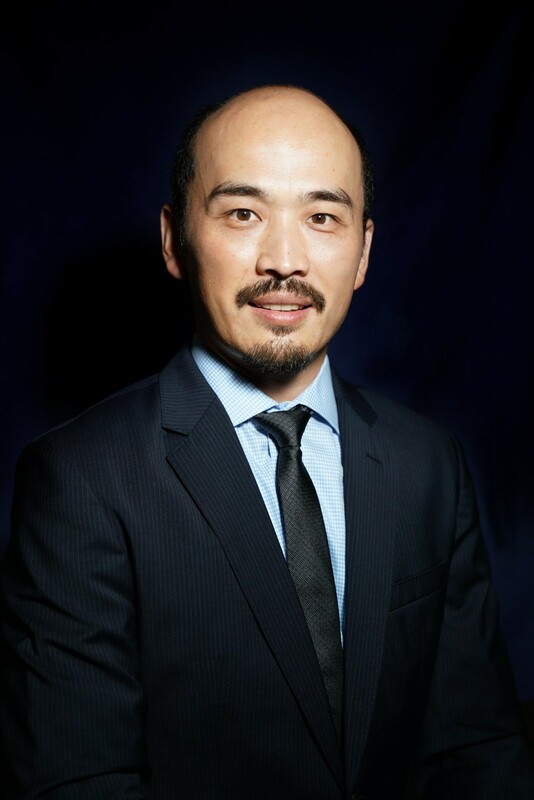 Before joining the CUHK(Shenzhen), Professor Jian Wang was a senior research economist and advisor at the Federal Reserve Bank of Dallas. His primary research interests include international finance, monetary economics, international trade and behavioral finance/economics. He has worked on the topics such as optimal exchange rate policy, the exchange rate pass-through, the exchange rate determination and international transmission of shocks. His articles have appeared in such publications as Journal of International Economics, Journal of Money, Credit and Banking, Journal of Development Economics, Journal of International Money and Finance, and the Federal Reserve’s official publications. Professor Jian Wang’s research has been reported in media such as the Wall Street Journal, VoxEU and Dow Jones. Besides his position at the CUHK(Shenzhen), Professor Jian Wang teaches EMBA and GFD classes at the PBOC School of Finance of Tsinghua University. He also taught graduate-level international economics classes at Southern Methodist University as an adjunct professor. He is a research associate at the Center for International Price Research of Vanderbilt University and an editorial board member of Pacific Economic Review. Professor Jian Wang holds a Ph.D. in Economics from the University of Wisconsin-Madison and an MA from the University of Arkansas-Fayetteville. 1. Wang, J. (2017). Comments on “International Price System, Intermediate Inputs and Regional Trade”, in Conference Proceedings for HKMA-BIS conference on "The price, real and financial effects of exchange rates" in Hong Kong on 28-29 August 2017. 2. Nam, D., Wang, J. (2016). Understanding the Effect of Productivity Changes on International Relative Prices: the Role of News Shocks. Pacific Economic Review, forthcoming. 3. Nam, D., Wang, J. (2015). The Effects of Surprise and Anticipated Technology Changes on International Relative Prices and Trade. Journal of International Economics, 97: 162-177. 4. Wang, J., Wang, X. (2015). Benefits of Foreign Ownership: Evidence from Foreign Direct Investment in China. Journal of International Economics, 97(2): 325-338. 5. “Benefits of Foreign Ownership: Evidence from Foreign Direct Investment in China,” with Xiao Wang , Journal of International Economics, 97(2), 325-338, 2015. 6. “The Effects of Surprise and Anticipated Technology Changes on International Relative Prices and Trade,” with Deokwoo Nam, Journal of International Economics, 97, 162-177, 2015. 7. “Are Predictable Improvements in TFP Contractionary or Expansionary: Implications from Sectoral TFP?” with Deokwoo Nam, Economics Letters 124(2): 171-75, 2014. 8. “The Taylor Rule and Forecast Intervals for Exchange Rates,” with Jason Wu, Journal of Money, Credit and Banking 44(1), 103-144, 2012. 10. “International Trade in Durable Goods: Understanding Volatility, Comovement, and Elasticities,” with Charles Engel, Journal of International Economics 83(1), 37-52, 2011. 11. “Home Bias, Exchange Rate Disconnect, and Optimal Exchange Rate Policy,” Journal of International Money and Finance 29, 55-78, 2010. 12. “Favorite Son? Specialized Child Laborers and Students in Poor LDC Households,” with Andrew W. Horowitz, Journal of Development Economics 73, 631-42, 2004. 15. “Understanding Trade, Exchange Rates and International Capital Flows,” Federal Reserve Bank of Dallas, Globalization and Monetary Policy Institute 2014 Annual Report. 17. Globalization and Monetary Policy Institute 2014 Annual Report. 18. “China’s Sputtering Housing Boom Poses Broad Economic Challenge,” Economic Letter, Vol 9, No. 9, August 2014, Federal Reserve Bank of Dallas. “Conference on International Capital Flows and Safe Assets,” Federal Reserve Bank of Dallas, Globalization and Monetary Policy Institute 2013 Annual Report. 19. “Asia Recalls 1997 Crisis as Investors Await Fed Tapering,” with Janet Koech and Helena Shi, Economic Letter, Vol 8, No. 10, October 2013, Federal Reserve Bank of Dallas. 20. “Gauging International Shocks and Their Implications,” Federal Reserve Bank of Dallas, Globalization and Monetary Policy Institute 2012 Annual Report. 21. “China's Slowdown May Be Worse Than Official Data Suggest,” with Janet Koech, Economic Letter, Vol 7, NO. 8, August 2012, Federal Reserve Bank of Dallas. 22. “Exchange Rate Pass-Through Into U.K. Import Prices: Evidence from Disaggregated Data” With Haroon Mumtaz and Ozlem Oomen, Staff Papers, Federal Reserve Bank of Dallas, No. 14, June 2011. 24. “With Reforms in China, Time May Correct U.S. Current Account Imbalance,” Economic Letter, Vol 6, NO. 1, January 2011, Federal Reserve Bank of Dallas. 25. “Durable Goods and the Collapse of Global Trade,” Economic Letter, Vol 5, NO. 2, February 2010, Federal Reserve Bank of Dallas. 26. “Why Are Exchange Rates So Difficult to Predict?”, Economic Letter, Vol 3, NO. 6, June 2008, Federal Reserve Bank of Dallas. 27. “Understanding Exchange Rates as Asset Prices,” VoxEU, September 5, 2008.